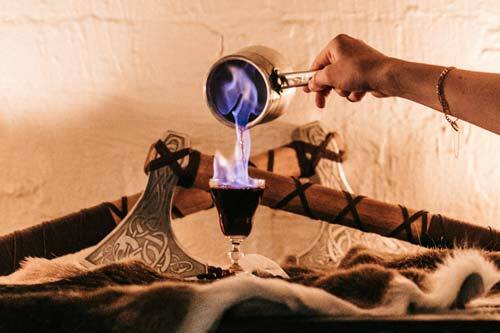 Choose Your Knife, Drink From A Horn and Wield Thor's Hammer. It’s time for something different. An adventure that will last beyond your tastebuds delight. Something that transports you to a completely foreign world. 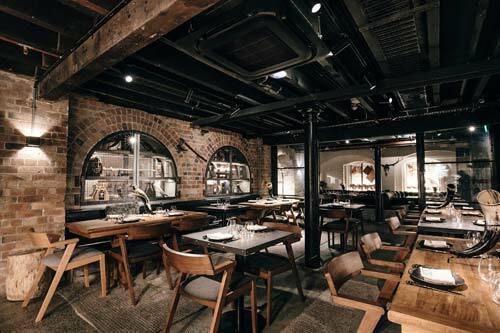 Where majestic culinary expertise combines with the rugged spectacle of Middle Ages Scandinavia. 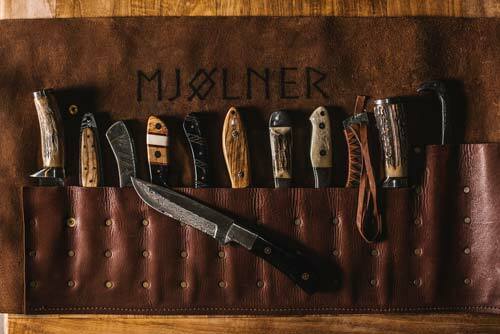 It’s time to discover Mjølner, a viking inspired bar and restaurant hidden amongst Hardware St. 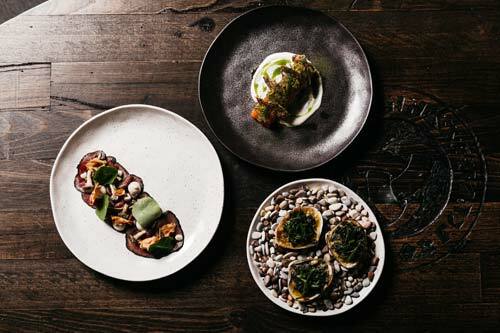 The celebration of the hunt is alive at Mjølner, offering a precise selection of meat-centric dishes inspired by the hunter-collector nature of Nordic ancestors, twisted with contemporary techniques to produce some outstanding cuisine that will leave all carnivores salivating for more. The staff are versed in their menus and are more than happy to help you choose the best dishes for you. They’ll even let you choose your weapon of choice for carving the meat from a selection of hefty knives. Starter: Gravlax with Pickled cucumber, horseradish cream, oat & linseed crackers. The light textures will cleanse your palette for the rich mains to follow. Mains: Rotisserie free range chicken, jus gras, witlof. Rangers Valley wagyu rump, smoked onion puree, black cabbage. Balancing the rich, intense flavours of the succulent wagyu with the slow roasted chicken will harmonise, providing a melt-in-your-mouth taste. Try some Potatoes with goats cheese, cornichons, shallot to add a delicate creaminess to the meal. Finally, dessert: Bombe alaska with meringue, mandarin sorbet, flamed mandarin liqueur. This careful construction of meringue, sorbet and flamed liqueur results in a flavour explosion like no other. End the meal with a memorable finale. 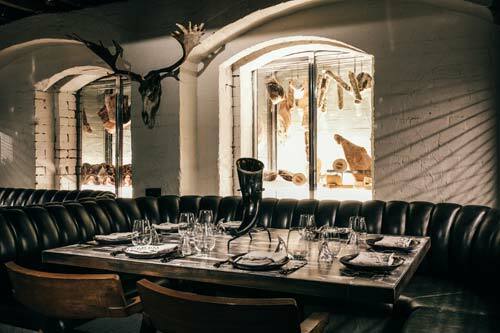 At the end of the hunt, bask in the rustic surrounds of their downstairs speakeasy bar, draped with animal pelts and medieval weaponry, to drink beer from your very own horn, just like the vikings. 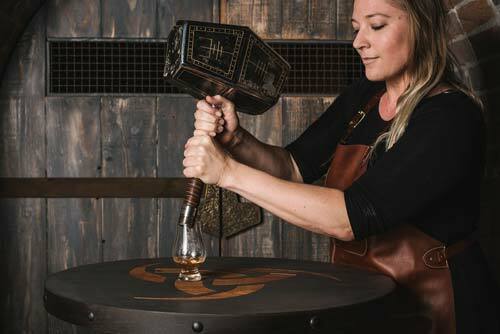 If that’s not manly enough, ask the bartenders for a drink from the Whisky Hammer, specially crafted by The Balvenie. 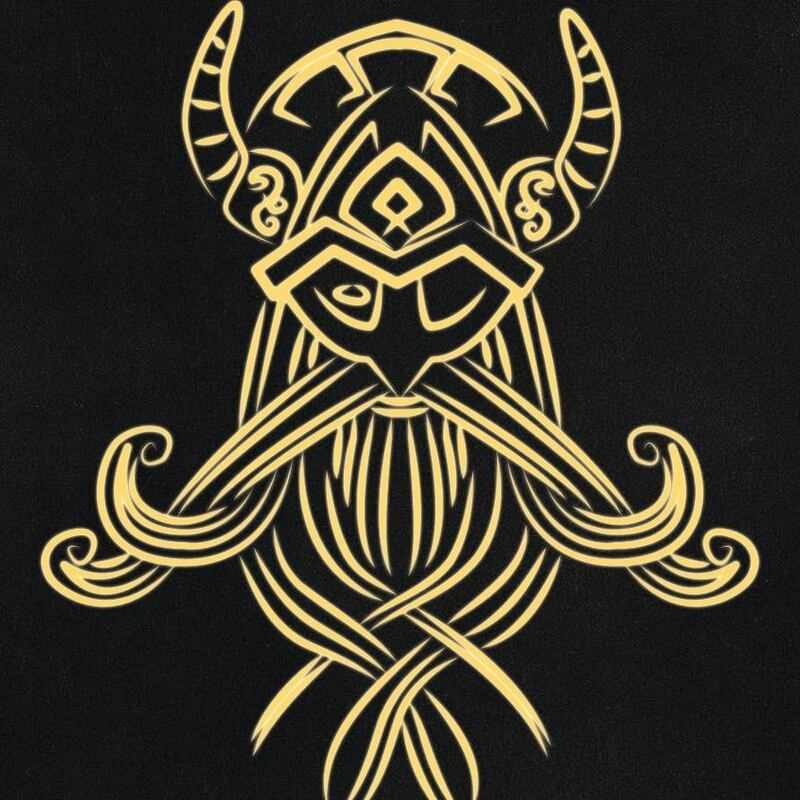 Wield the hammer, become a god, and enjoy some peaty whisky by The Balvenie at the same time. 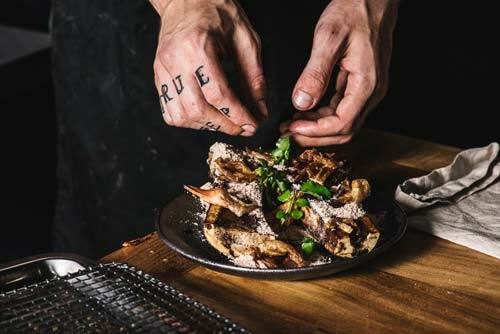 So whether you’re wanting to unleash the inner carnivore, or down a beer amongst the nordic atmosphere, Mjølner is ready to take you to another world. 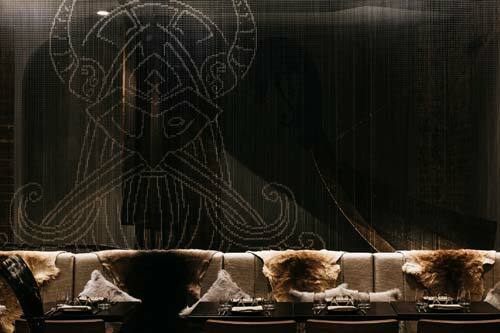 You can check out both Melbourne and Sydney’s venues to drink and dine like the Nords. Next articleDangerous Addiction or Harmless Pastime?